Sekope Kepu will stay in Sydney when the Waratahs tour South Africa and Argentina. WALLABIES prop Sekope Kepu will be left at home for the Waratahs' ​upcoming ​tour of African and Argentina. 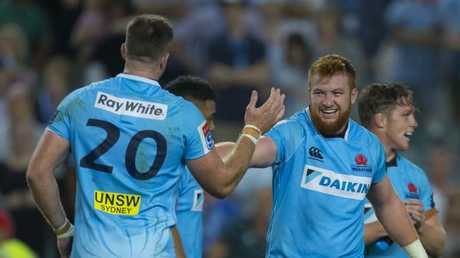 NSW's ability to "find a way to win" after the siren over the Stormers on Saturday was feted by coach Daryl Gibson despite admitting the Tahs had ample opportunity to do it earlier in the game, and that they'd been beaten up by the Cape Towners at scrum time. With Kepu suspended for NSW, Stormers coach Robbie Fleck admitted the Waratahs' pack was targeted by his side as a weak link. "We felt that they were vulnerable there and it showed," Fleck said. "We were the dominant scrum. "It was certainly something we targeted, we felt they weren't good enough there at the set-piece and the scrum." The Waratahs ​leave on Sunday to ​play the Sharks and the Jaguares in the next two weeks, and Gibson conceded their scrum showing in Sydney would see the two powerful scrummaging sides also focus attention on the​ir​ set-piece. 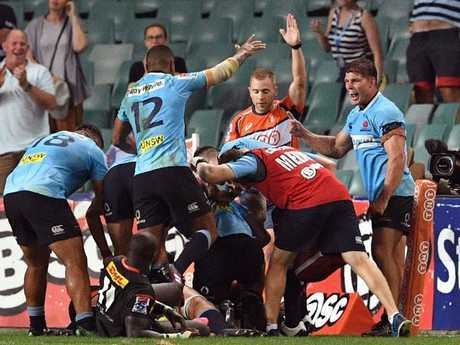 Ned Hanigan scores to give the Waratahs a last-gasp win over the Stormers on Saturday night. Surprisingly, however, the NSW coach has decided to not rush back Kepu, whose suspension expires after the Sharks game. The veteran prop will stay in Sydney to work on "fitness", Gibson said. "We know we had our troubles tonight but we're going to back the guys who are in there, and look at the drawing board and look at how we can compete," Gibson said. Asked if they had the scrummaging cattle to dramatically improve in the next week, NSW captain Michael Hooper responded: "I think we've got the cattle for sure, I think we've got the guys who can back it up and do it. I've seen that at training." "The Stormers are so strong, they were squatting us pretty much," Hooper said. "A couple of their guys are so big in that front row, we probably got a bit of false security there getting forward a bit, and then they're so strong they go back and bring it forward. "It caught us off guard a bit there, it's a good roll-in for what we'll probably see next week." 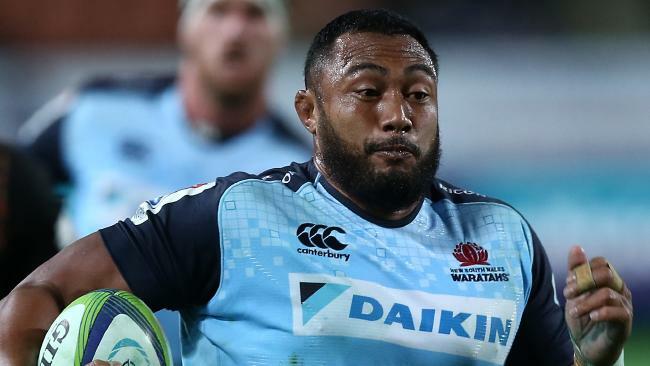 The Waratahs will take Fijian prop Kalivati Tawake to South Africa with them in a 27-man squad. "At 75 minutes there it looked like it was destined for a draw but I felt through the whole game our team showed some real character and fight, and they're really excellent qualities that we have been talking about a lot and now we are starting to see through our actions," he said. "We were under pressure at times through our scrum but I am extremely proud of the tenacious effort we showed in our game."